Another domestic manufacturer “Intex technologies” will join the Quad Core arena by dipping it’s new entrant under it’s prodigious Aqua series by launching Intex Aqua Wonder 2 powered with a Quad Core processor in the Indian market. Just a few months ago, Intex introduces the first flagship element Intex Aqua Wonder under it’s Aqua series of Smartphone which somehow doesn’t collect much popularity as compared to other handsets in the list. With Intex Aqua wonder 2 company employing a strategy to make it’s Aqua series a bit more shiny in the gadget hub of India. Viewing the appearance, Intex Aqua Wonder 2 will sport a 4.5 inches of IPS Capacitive Touch Screen Display with 960 x 540 pixels resolution and 16 M of colors, resolution is fine however, better resolution and display colors are seen in most of the highly powered smartphones now a days. Incorporating the standard feature in most of their Smartphone by the domestic buyers, this device will also support the Dual Sim with Dual Standby technology ( GSM + GSM). Specifications in terms of measurements, the device will weighs nearly 125 gms and measures 67.9×133.2×8.9 mm in dimensions. 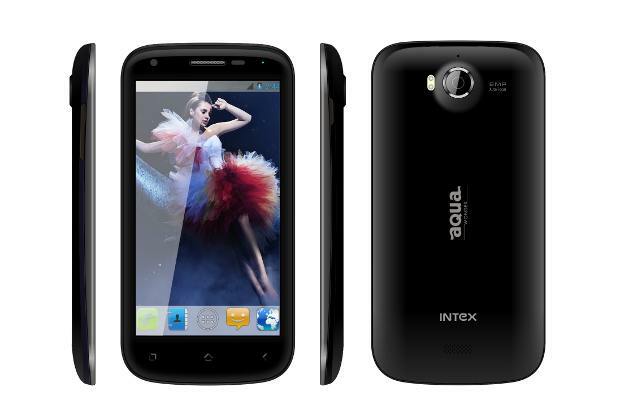 Dealing with the device Platform dependency, Intex Aqua Wonder 2 sails on Android 4.1.2 Jelly Bean Operating System powered with a Mediatek MT6589 quad core processor. Briefing it’s Storage Specifications, Intex Aqua Wonder 2 will supports 512 MB RAM with 4 GB internal memory which can be expanded up to 32 GB via micro SD card slot. Enumerating it’s connectivity specifications, this device will support GPRS with EDGE connectivity, 3G, Wifi 802.11 b/g/n, WAP, USB Connectivity, for navigation technology , it has A-GPS with Google Maps and Bluetooth. It will also support G-Sensor, Light Sensor, Proximity Sensor. In terms of Photography, Intex Aqua Wonder 2 will be offered with both the primary and secondary cameras, a 8 MEGAPIXEL of primary camera and a 2 MEGAPIXEL of secondary camera for video calling. It also support Dual LED flash with Autofocus technology. Some of the other pre-loaded applications will include Google Play, Facebook, Google+, Skype, WhatsApp, Nimbuzz. To make the life going on for the handset, it will be equipped with 1800 mAh of battery. However, no information regarding it’s launch, price and availability displayed yet. Stay tuned for more technology updates.